Pop Art girl with coffee cup in glasses with thought bubble. Party invitation. Birthday card. Hollywood, movie star. Comic woman. 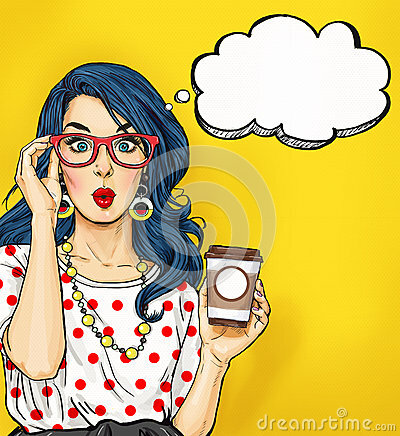 Pop Art girl with coffee cup in glasses with thought bubble. Party invitation. Birthday card. Hollywood, movie star. Comic woman. girl.